Cleanroom stationery products are a safe way to record information within a protected and/or sterile environment. 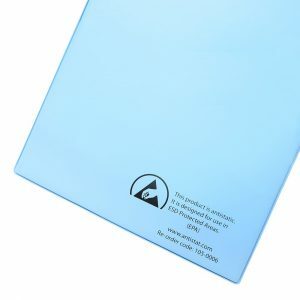 The specially designed and packaged products come in a variety of forms and colours, offering varying types of paper that can be steam sterilised with custom requirements also available. Used in a controlled environment, Antistat ESD stationery products have been developed to reduce and contain the risk of damaging sensitive components or devices. We can often stock more ESD stationery, please email us what you require for your EPA and we will source it for you.